Time for the PSU... I always really disliked the original, hot'n heavy transformers inside those drives. 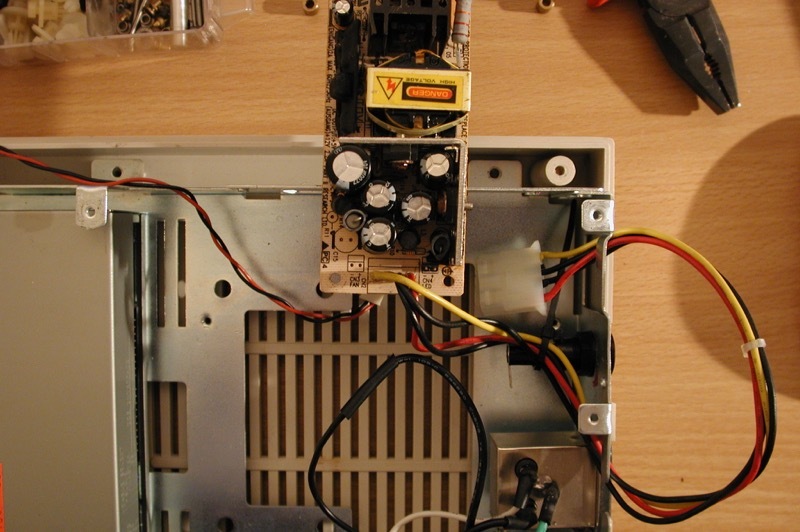 Something more up to date was necessarily required, especially because important parts of the original 1541 PSU are located on the controller board, which was no longer supposed to be there! In my junk-pile I found a promising piece of hardware - namely an old and mostly defunct SCSI case with nice internal PSU of proper ratings.